NEW Our essential gardener’s gift set will provide hours of enjoyment for every green thumb. 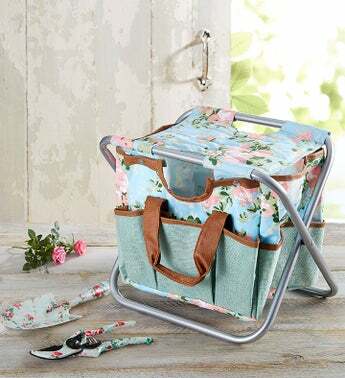 Featuring a lovely rose design, our beautiful set gives them all the tools they need for a day of gardening. A coordinating fold-up stool keeps them comfortable while they tend to their beds. Complete this one-of-a-kind gift by adding our apron and gloves to keep them looking stylish while they sow!